Square or rectangular Mosquito Nets (box model) are available in 4 different sizes and in different materials: bamboo, cotton or polyester. 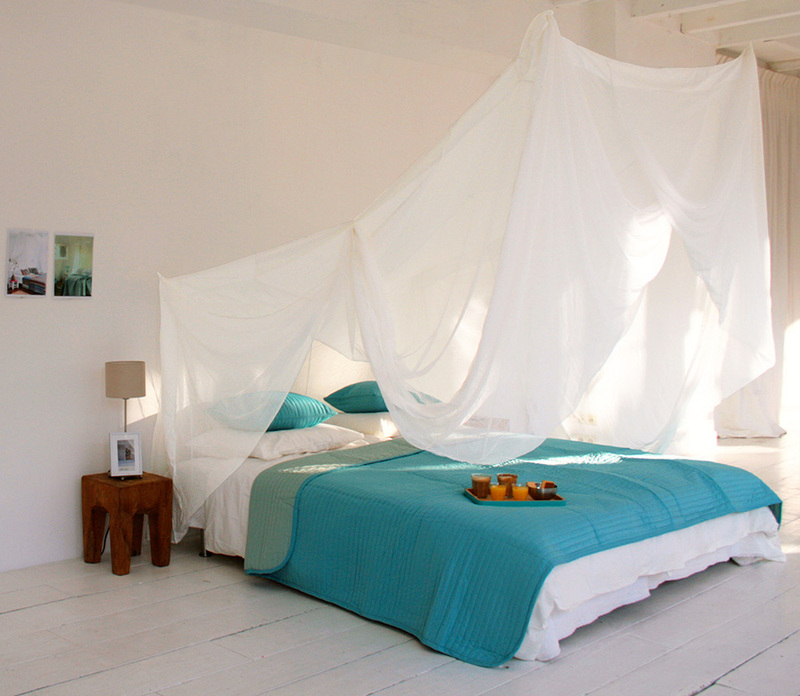 There are several ways to hang your rectangular Mosquito Net from the ceiling. You can simply hang it over your bed with wire and hooks, by using the small rings at the top of the net. The rings on top of the Square nets can also be used through curtain rails on each side of your bed. 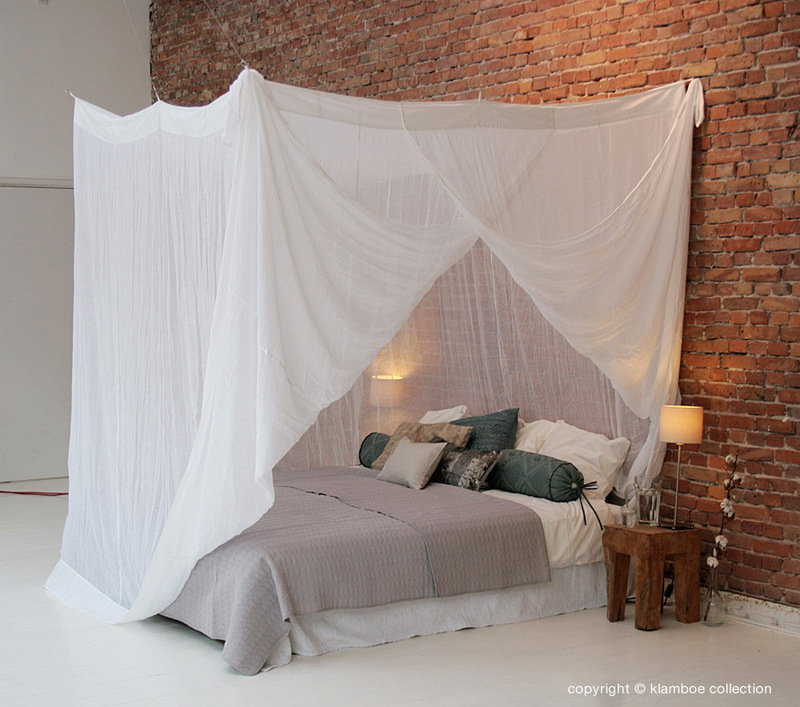 Rectangular Mosquito Nets can also be used for 4-post beds. Square nets allow you to retain a lot of space inside. 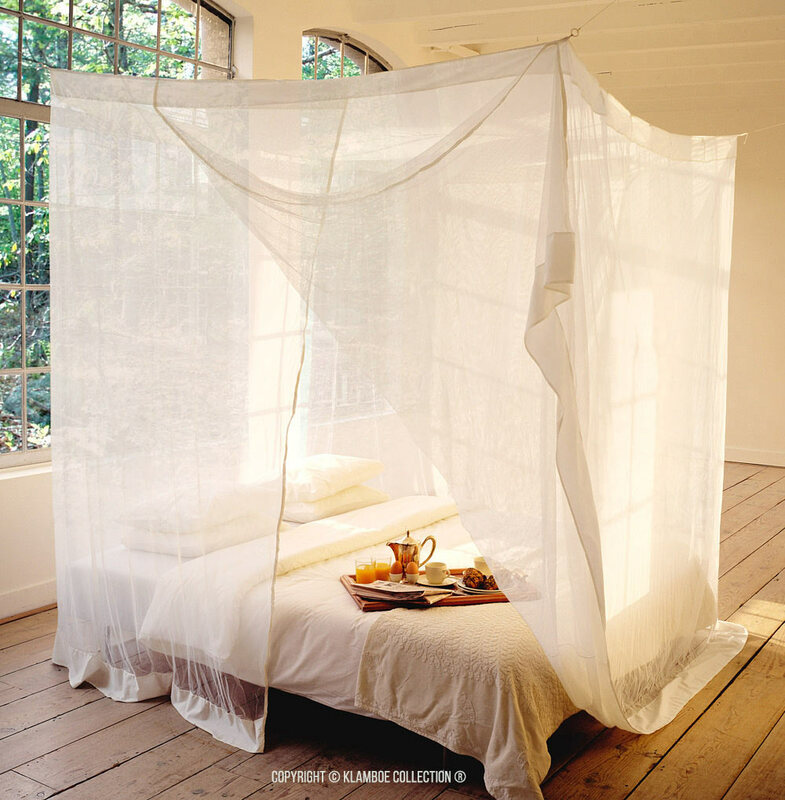 This Rectangular Mosquito net Grenier is easy to hang on with strings attached to a sloping ceiling and / or wall. The Single comes with a wide overlapping entrance on the side. The Double has a wide overlapping entrance on both sides and one in the front so you can get into the bed from any side. Although these rectangular nets are for sloping ceilings they still provide a lot of space under the net . The nets are very beautifully finished with sheeting borders along the openings and the bottom of the net. 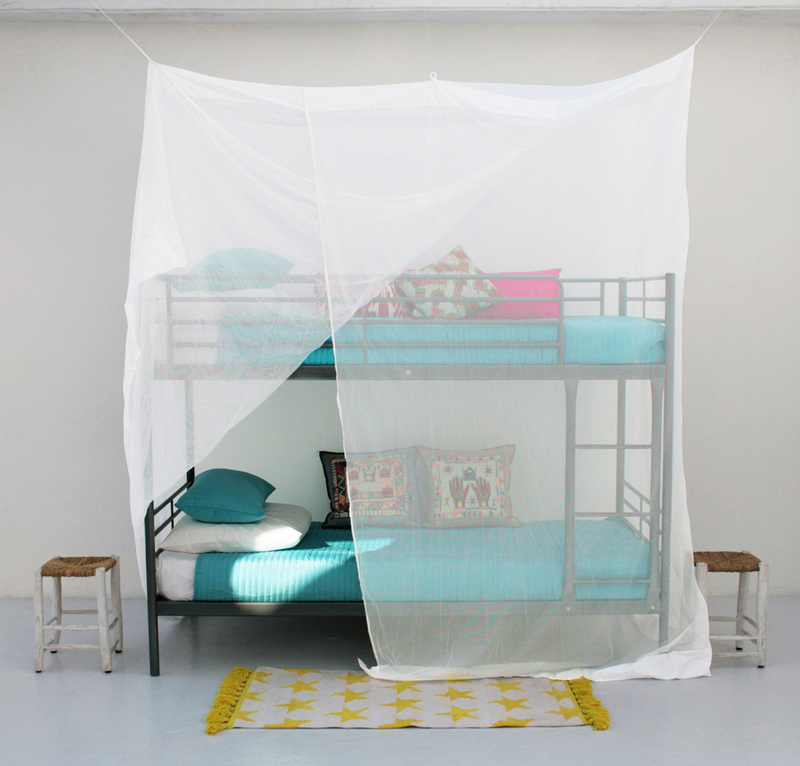 The mosquito net BUNKY (for Bunk Beds) is a taller model based on the Single Rectangular Mosquito net and is especially suitable for Bunk-Beds and available in different colors. Rectangular bamboo nets are made from 100% bamboo fiber. Bamboo fabric has many advantages: the material is very environmentally friendly, it is biodegradable, it ventilates very well, does not wrinkle and is odor-free and anti-static. Rectangular bamboo nets are available in four sizes. These beautifully finished nets are easy to hang with strings from the ceiling and/or wall. Bamboo Mosquito Nets are, just like the other rectangular models, open on both sides so that you can enter on each side of the bed.